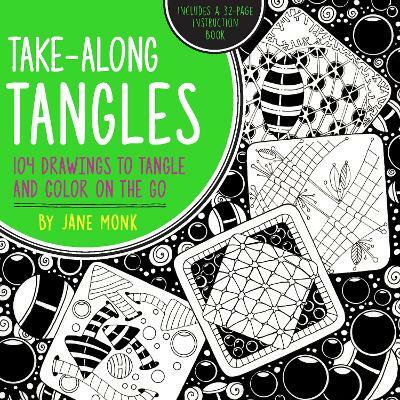 Enjoy the rhythmic relaxation of colouring original tangle artwork by Jane Monk! Colouring is a peaceful and pleasant right-brain activity that can provide a soothing and enjoyable pastime for people of any age. Unlike painting, you don't need to have the skills of an artist to create a masterpiece. All you need is to pick the colours and draw within the lines. The results can be miraculous! Disconnect temporarily from the everyday hustle and bustle and escape to a world filled with creativity, inspiration, and serenity. 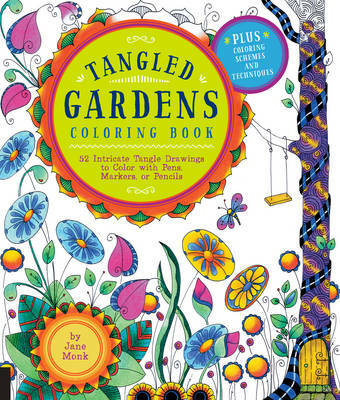 Colouring helps reduce stress levels, elevates focus, and promotes a soothing, relaxing frame of mind and sense of well being.The 52 designs in the Tangled Treasures Coloring Book are all original tangle artwork by certified Zentangle teacher Jane Monk. Monk begins the book by leading you through some basic techniques for using coloured pencils or fine-point markers to colour the designs, including skills like shading and blending. Each of the designs is printed on a page with a blank back, so you can remove the art from the book and frame it, if you like. Jump right in to the relaxing spell woven by Zentangles! 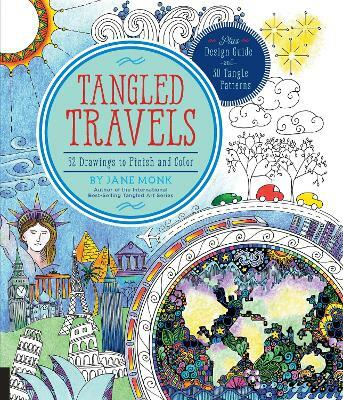 Buy Tangled Treasures Coloring Book by Jane Monk from Australia's Online Independent Bookstore, Boomerang Books. Jane Monk lives in Tasmania, Australia. She is a self-taught artist who has been drawing since she was a young girl, inspired by the beauty in all things in the natural and man-made worlds. Patterns and repetition, and the sometimes quirky and different, are what inspire her work. Jane began quilting in 2003 and loved it so much that she purchased a longarm quilting machine in 2007. Jane is an award-winning machine quilter and quilts professionally for others through her business, Jane Monk Studio. Jane has designed quilt patterns for publication in quilting magazines and produced a DVD showcasing the basics of Zentangle and quilting. She has taught numerous classes in Zentangle, quilting, free-motion stitching, making journal covers, and doll making.In 2010 Jane became a Certified Zentangle Teacher and combines her love of Zentangle and quilting by bringing these two complementary mediums together. 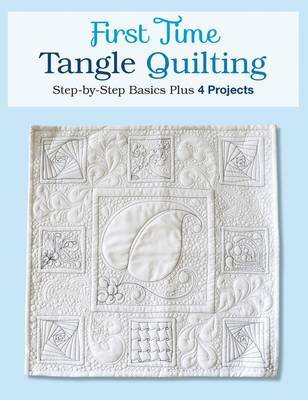 Zentangle Stitches for Quilters and Fabric Artists is her first book. Learn more about her on her website: www.janemonkstudio.com.